We provide a 24 hour, 7 day emergency locksmith service in Sydney’s Eastern Suburbs. No matter the time of day or night we are always on standby to respond immediately when you call. 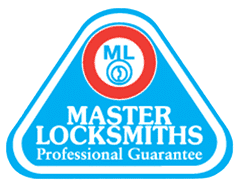 One of our experienced locksmiths will be to your door within the hour. We specialise in all locksmith services in the Bondi area including Bondi Beach, North Bondi and Bondi Junction. Fully equipped with mobile workshops to access and secure your premises following your call out, we can also cut new keys on the spot as required. Our locksmith service includes residential houses and units, as well as commercial, retail and industrial locations for all types of locks. Expect us to have a standard lock opened within 5 minutes, however restricted type cylinders can take longer. Either way we will have you inside in no time! As you know the wonders of Bondi attracts all sorts of beautiful people. After all there is so much fun to be had with all the festivals, restaurants, bars and Bondi Beach itself. However, with this crowd, comes some characters looking for trouble. Don’t let these intruders cause trouble for your home and family, call your Bondi locksmith now! Fusion Locksmiths can fix and install any type of lock and recommend financially sensible solutions to any security problem you may have. Our fully equipped trucks have all the hardware and equipment to sort out your dilemma once and for all with no time wasting. Secure Everything With Fusion Locksmiths! What about the valuables outside your house? Walk around your house and chances are you will see a number of valuables that could be made more secure. We have locking solutions for bikes, trailers, surf boards, kayaks, motorbikes, boats, garden sheds, garden tools, anything that you value and would miss if it were stolen. There are so many products and solutions out there, ready to secure any opening or valuable inside and outside your home or business. We have all types of locks for doors, gates, garage doors, sliding doors, concertina doors and more. All designed to stop the intruders in their tracks. Fusion Locksmiths is fully trained, qualified and police-checked ensuring professional work. 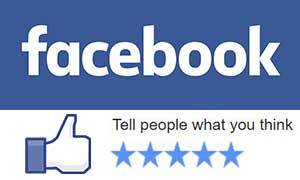 With full locksmith and security licenses – you can rely on us. Get total peace of mind knowing that we also have full public liability and workers compensation insurances just in case anything happens whilst we are on the job. 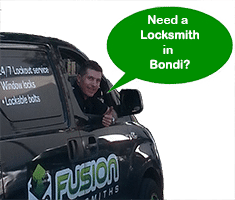 So when you need a locksmith Bondi service, contact Fusion Locksmiths and experience the difference, you won’t be disappointed.